Wash and blending brushes made of pure soft natural white goat hair. 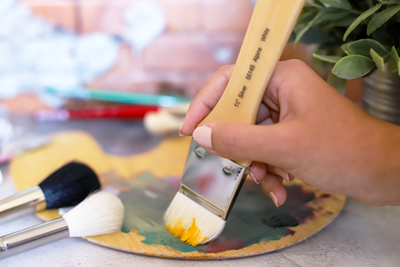 Alpine White™ brushes provide smooth flowing for washes with watercolors or acrylics and they are perfect for dry brush blending of colors. In addition, these brushes can soften hard edges without cutting into color. Lacquered natural finish handles with nickel-plated brass ferrules.